Don’t know what to get for your tea lover or sweet-eating sweetheart? With Valentine’s Day already here, I have a few picks here that will surprise and wow your sweetheart. Use 1/2 teaspoon (1 gram) per 8 ounce (225 milliliter) serving. Add 1/2 teaspoon (1 gram) to base of cup and add 2 ounces of hot water & mix vigorously to make a smooth paste-like liquid. Top with freshly steamed milk (or substitute like soy) and sweeten to taste. Maple syrup or honey are good sweetener suggestions. There are also the traditional green tea ceremony style method and to make an iced green tea latte. Along with the matcha powder, I also gave the fiance some Rowntree’s Randoms. One of my favorite things from English Tea Store, I knew I HAD to send him some of these! Now, these sweets are very different. It is an endless gummy variety. Each pack is different, so you never know what you will get. You may get a smiley face or even a tractor! The first item I ever got when I had my first pack was, ironically, a teapot! There is an American version made by Wonka but it does not have blackcurrant flavor (boo!) nor the foamy sweets! 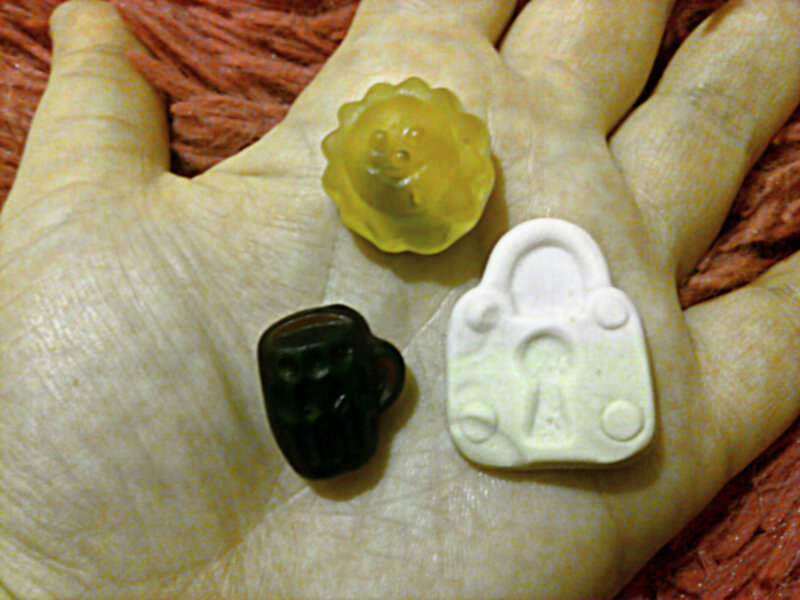 I love the Rowntree’s version because the foamy sweets! They are incredibly different from what I’m used to. It’s like a marshmallow but much sturdier. These are pastel colored and they come in shapes like a padlock or an ice cream cone. You will have lots of fun eating these! I was lucky to receive a box of Cadbury Roses from my sweetheart, and these are the kind of Roses I prefer! Like Cadbury Heroes, it’s a variety box but unlike Heroes, Roses has a very unique variety of sweets. I was surprised to find not ALL the sweets in this box are Rose shaped. Instead, there are various shapes and sizes, not to mention flavors, ranging from the standard Rose truffle, Hazelnut Whirl, and even a surprise favorite, Strawberry Dream! Each sweet is individually wrapped in brightly colored paper. The next time someone asks you what kind of Roses you want for Valentine’s Day (or whenever, really), ask for Cadbury Roses. Editor’s Note – I also prefer the Rowntrees for the same reasons. Foamy, blackcurrent.